Whether you are an accomplished rider or have never been in the saddle, riding at the R Lazy S will be a pleasurable experience that you will long remember. 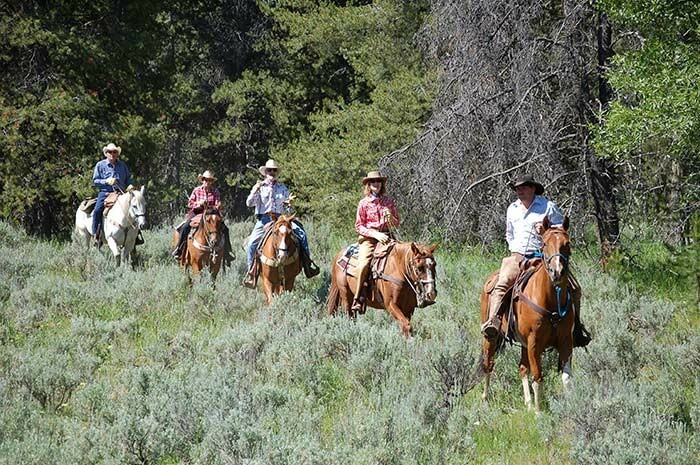 Since most of the pleasure of riding comes from good horses, beautiful scenery and confidence in the control of one’s horse, the Ranch chooses it mounts and trails with care and pays particular attention to teaching the essentials of good horsemanship and trail riding. 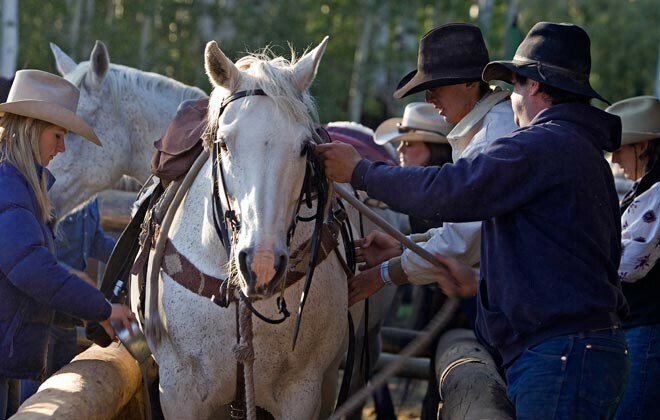 Instruction: Our friendly and experienced wranglers strive to build confidence in new riders by thorough and patient instruction. Our riding arenas provide safe places for instruction and we encourage interested guests to take advantage of it. 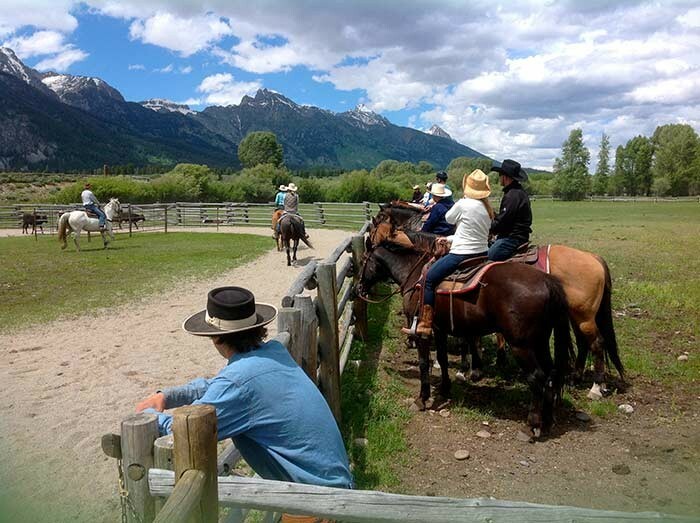 From our fine stable of over 75 horses, we select one that best fits your ability and experience and you keep that horse and tack for the Jackson Hole Horseback riding activities during your stay. 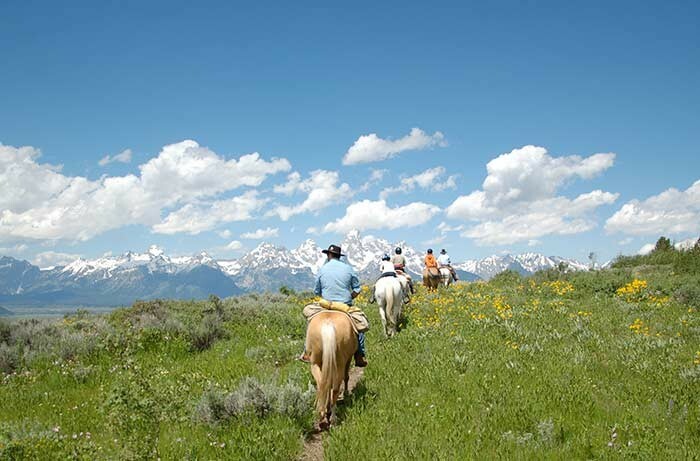 Scenic Rides: Morning and afternoon riders are divided into small groups according to ability and each is led by an experienced wrangler. The R Lazy S has approximately 17 different all-day rides. 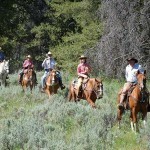 One may leave on horseback directly from the Ranch for rides to Phelps Lake, Open Canyon, or Granite Canyon. 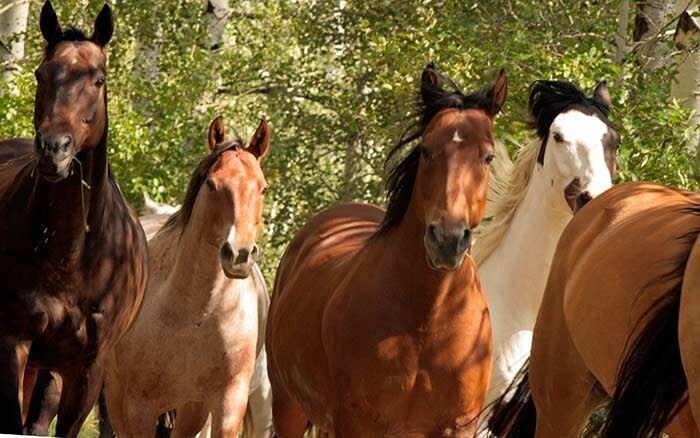 Horses and guests are also transported by truck and horse trailer for regularly scheduled rides to many trails in the valley, including rides to the “hard to get to” summer range of Wyoming’s big game – elk, moose, buffalo, antelope, and deer. 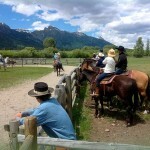 R Lazy S offers the best in Jackson Hole horseback riding, including instruction and guided rides. 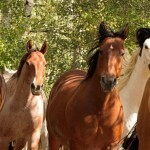 "On our second morning we went for a horseback ride. 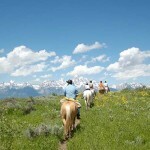 The ranch is surrounded by Grand Teton National Park and the Snake River, and the views were breathtaking."